Premium corner lot with lake view! Plenty of room to entertain on this 0.51 acre lot with mature landscaping, including fruit trees; perfect for the family & pets to enjoy! 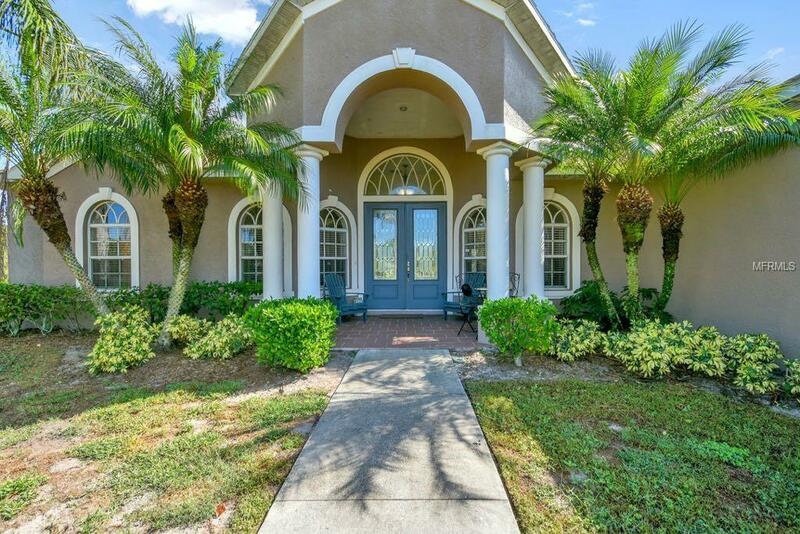 Feel the soothing warm ambiance once you step inside the front door of this 3bed/2bath/3car garage divine home your attention will be immediately drawn to the large open space, beautiful shiny wood laminate flooring, gorgeous columns and high ceilings. 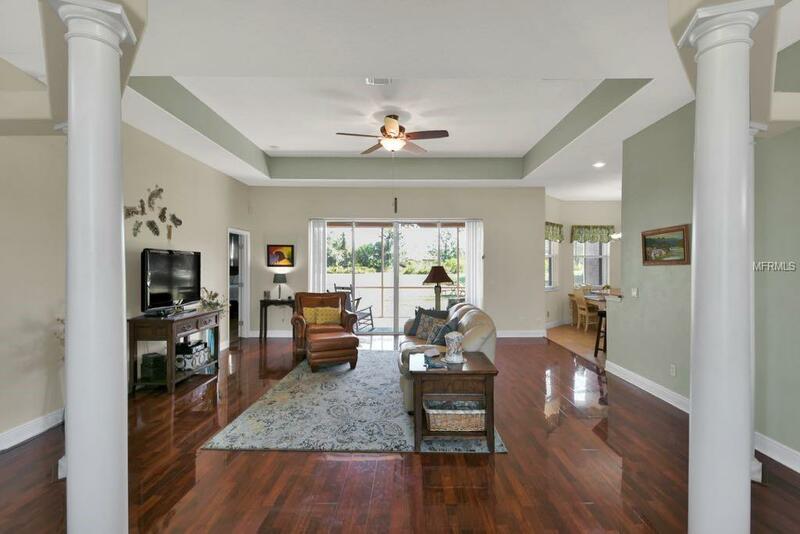 Retreat to the enormous master bedroom with hard strand bamboo wood floors and his & her walk-in closets designed with custom shelving, you will truly be amazed. The master bath has breathtaking granite counter tops with dual sinks, a walk-in Roman shower and a luxurious garden tub, perfect for stress relief. With the other bedrooms located on the opposite side of the home this master suite is truly a home away from home! The spacious kitchen has granite counter tops, stainless steel appliances, a gas stove, custom made maple wood cabinets, large pantry closet and kitchen sink with reverse-osmosis water system. Out in the large backyard there is plenty of room to add your own custom swimming pool, the home is already pre-wired. 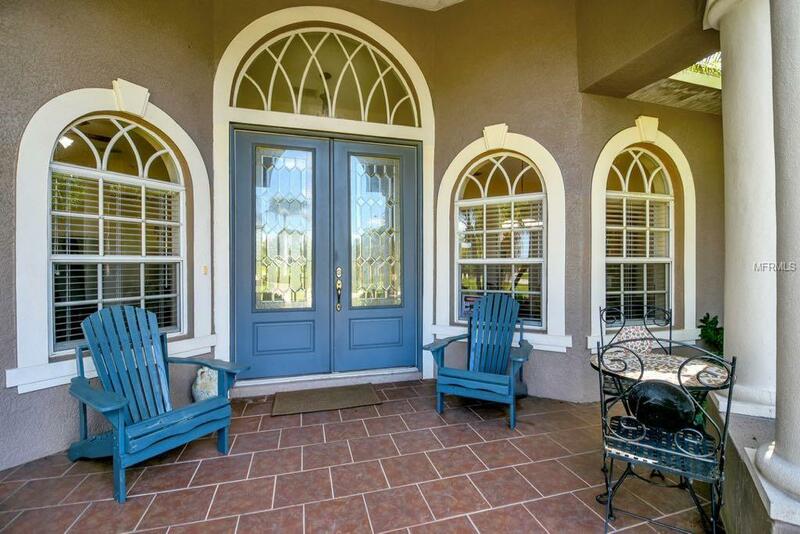 Mill Creek is one of the most sought-after neighborhoods in Manatee county. NO CDD's and Low HOA fees, just minutes to the interstate and to the Premium Outlets or UTC mall. 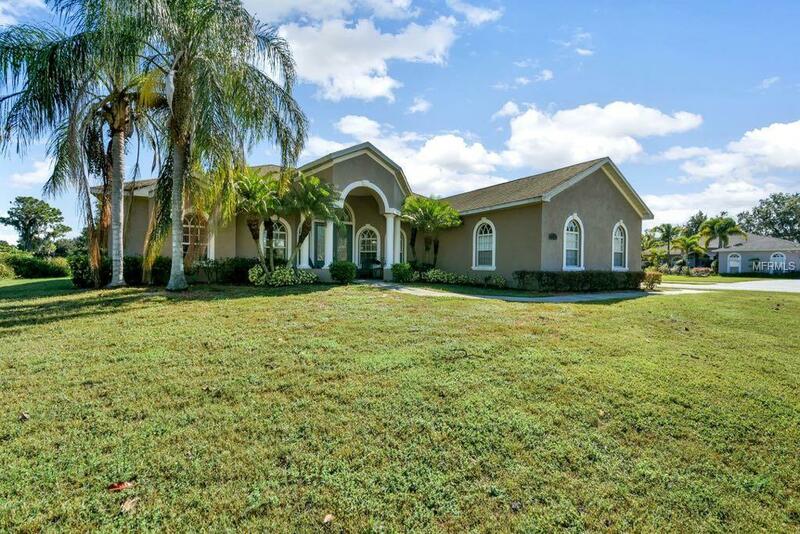 All homes in Mill creek are custom and sit on half acre+ lots. "A" rated school district.